We have had many issues with sippy cups either leaking or Chelsea would just not want to use them. When we found out about these we were so excited to try them. Within minutes I fell in love with these sippy cups just perfect for my little girl Chelsea who is always on the go and dropping her sippy cup down every where. This sippy cup doesn’t leak at all its AMAZING! Chelsea had her sippy cup on my bed all night long tipped over and everything not one drop of wetness. I also love that these sippy cups are insulated so the drinks stay cooler longer. They are BPA free and Dishwasher safe. Definitely recommend this to anyone looking for the best sippy cup for their toddler. This product deserves 5 stars for sure no complaints here. Disclosure: I received this product for free in exchange for my honest opinion. All opinions displayed here are my own. 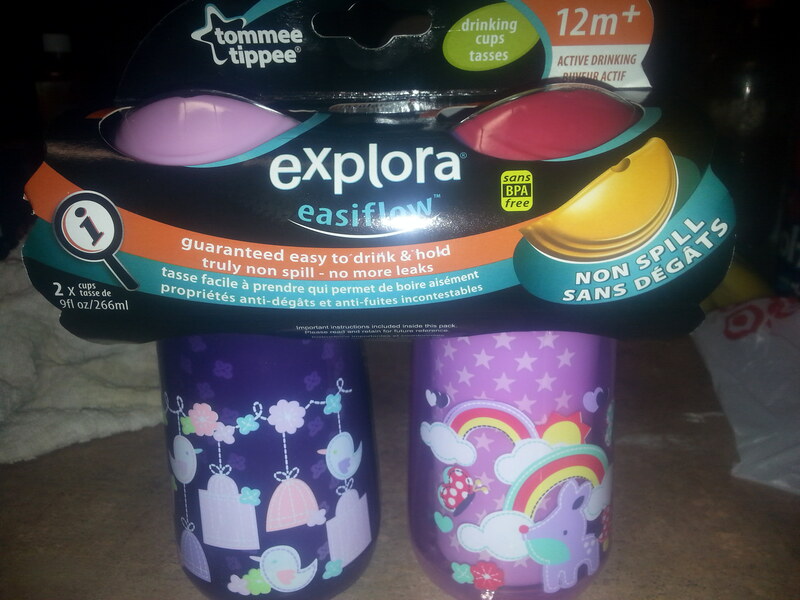 This entry was posted in 2014 Holiday Gift Guide, Reviews and tagged #2014holidaygiftguide, #holidaygiftguide, #holidaygiftideas, #sample, Baby, drinking cup, easiflow, explora, Explora Easiflow, Holiday Gift Guide, product review, Review, sippy cup, sippy cups, tippee, toddler, tommee, tommee tippee. Bookmark the permalink.